Children’s books can teach us a lot. From The Cat in the Hat, I learned that “it’s fun to have fun, but you have to know how.” Green Eggs and Ham chronicles Sam-I-Am’s persistence and self-confidence. Eric Carle’s Do You Want to be My Friend is a great primer on forming new relationships. Where the Wild Things Are shows that no matter how much amazing adventure we find, we’re still going to get hungry. So too with children’s songs. 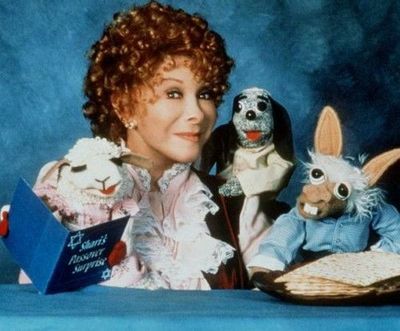 If you really want to understand the game of poker, consider Lamb Chops’ Song That Doesn’t End, made popular as the closing theme to a TV puppet show in the early 1990’s starring Shari Lewis. Each time, feel free to protest. You were a 90%+++ favorite to win and all that. While playing the hand, it’s great to know that you made a +EV play, expect to win and calculate the size of your edge. It’s smart to get your chips in while ahead and fold the rest. It helps to be good at poker math. Now I’m going to let you in on a dirty little secret about poker math that is more important than EV, odds and combinatorics. [drum roll, please] After the betting is over, anything likelihood of winning that is less than 100% is not equal to 100%. Put differently, EV (Expected Value) does not equal GV (Guaranteed Value). If you are a winning poker player, get used to the fact that you will feel unlucky far more often than you will feel lucky. You feel unlucky when the villain wins despite despite long odds against them. Winning players put their opponents in this position often, winning their fair share but according to that dirty little secret of poker math, not 100%. You feel lucky when you put yourself in a terrible spot and overcome the odds. Winning players avoid putting themselves in need of getting lucky. Let’s say you examine your last 100 hands where there was an all-in bet and a call before the river. For a top tier winning player, 90% of the time you might be ahead and win 80% of those (72 pots won) and lose the others. You felt unlucky 18 times. The other 10% of the hands you were behind when the chips went in because you played those poorly. So the villain wins 80% and you got lucky in the other 20%. You felt lucky only twice. As an expert player, you won 74 of the 100 all-in pots and a lot of money. Because the villains “got lucky” 18 times vs. only twice for you, you feel like they are much luckier. Playing last night at a very friendly, beer and wine heavy game. Went all-in knowing I was way behind after the flop, needing “a Jack or two spades” to hit my hand. Hit the Js on the turn, and to rub it in another spade on the flop. Doubled up. Got lucky. Later, against the same buddy, follow him all-in pre-flop with QTh against 55. Almost 50/50, and it was late… Hit Q on flop to take lead, turn gave him an opening for a straight (I believe – there was been involved), and river finished the straight. I was unlucky. No complaints about luck from that game. After I pulled the J out of my magical place earlier, I knew what could happen. The unlucky side should be easier on the psyche in a friendly (assuming private) game than at higher stakes w/ total strangers at a casino. Pass me a beer!